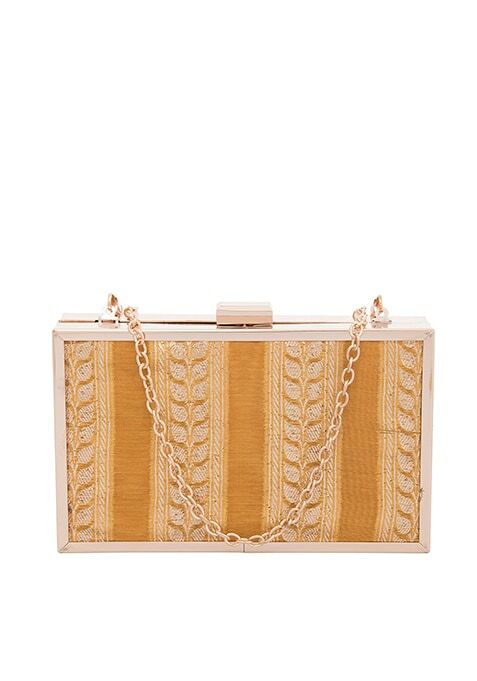 Look prettier by complementing your ethnic wear with this mustard clutch. Made from silk, this clutch features paneled design. Work It: This clutch works with a black asymmetric tunic.